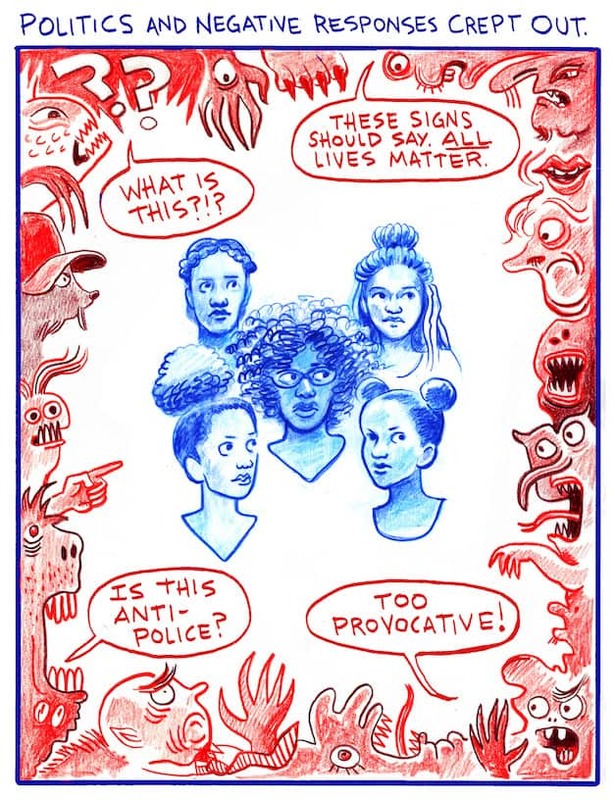 In this week’s Illustrated PEN, Guest Editor Robert Kirby presents The Art Class is a Sanctuary City, written and illustrated by Cara Bean. 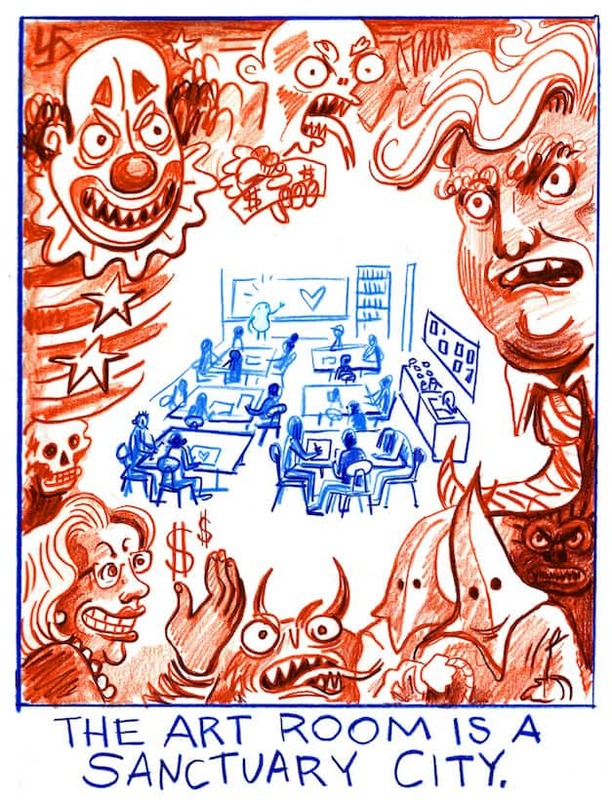 Rob writes: Since the November 2016 elections, educators have been faced with new struggles—chief among them the appointment of a completely unqualified person to the office of Secretary of Education. 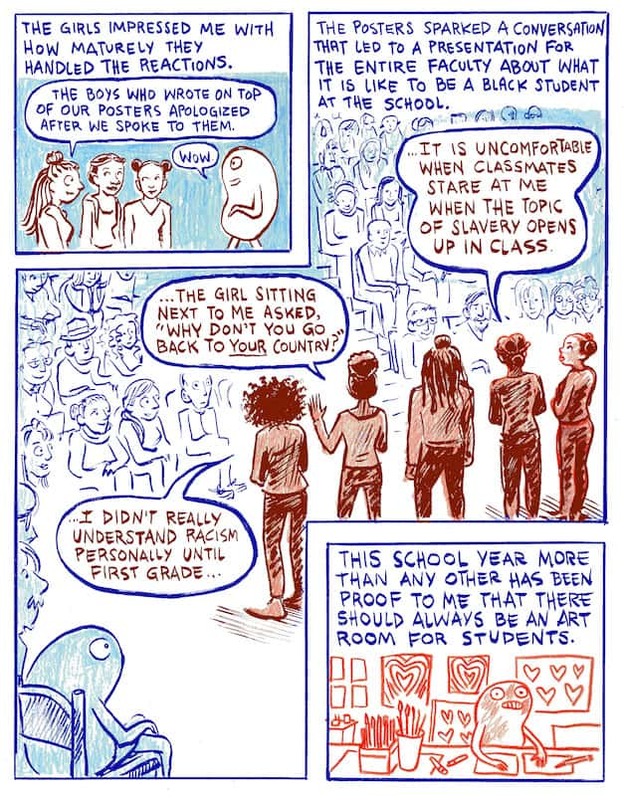 I asked Cara Bean, a high school art teacher, to talk about the current political situation and any impact it’s had on her classroom and school. 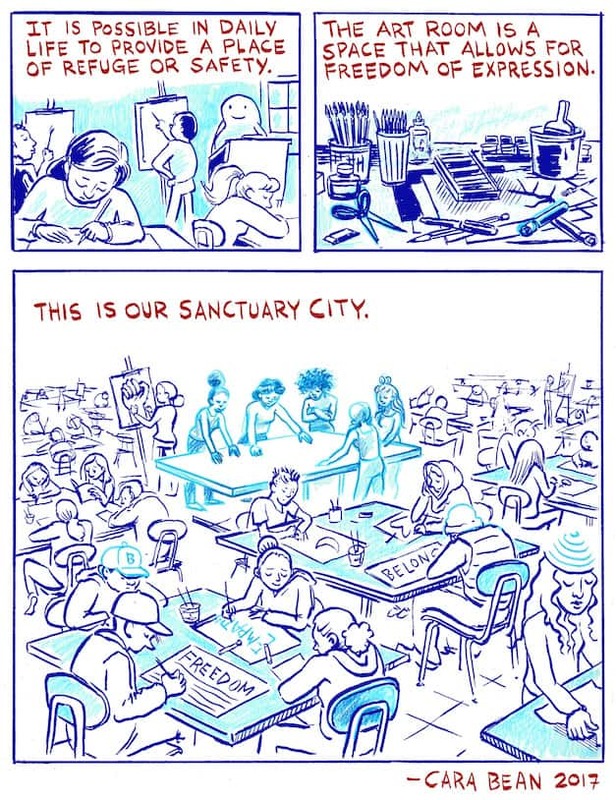 Her beautiful story, “The Art Class is a Sanctuary City,” is quietly defiant and political, but rendered with love and deep empathy. 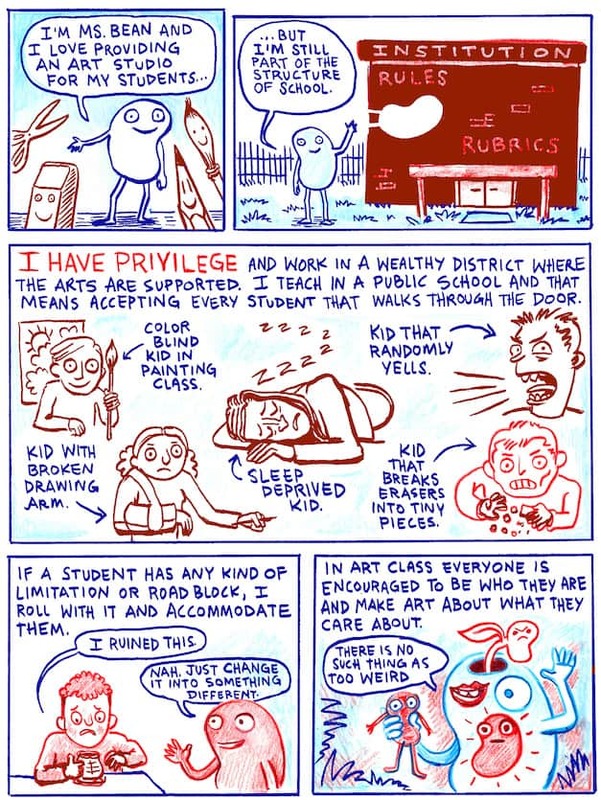 Reading it, my first thought was how lucky Bean’s students are to have her as a teacher. 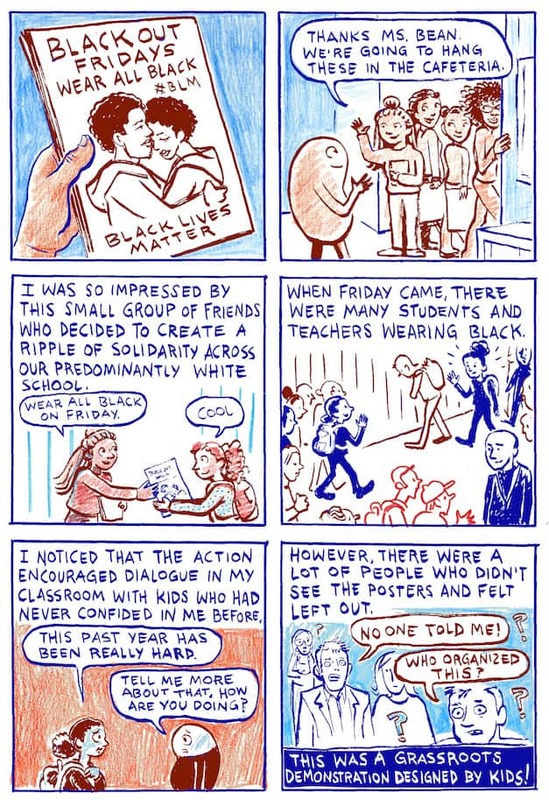 My second thought was how the work of teachers can go a long way in building inspiration, and battling against hate and fear. 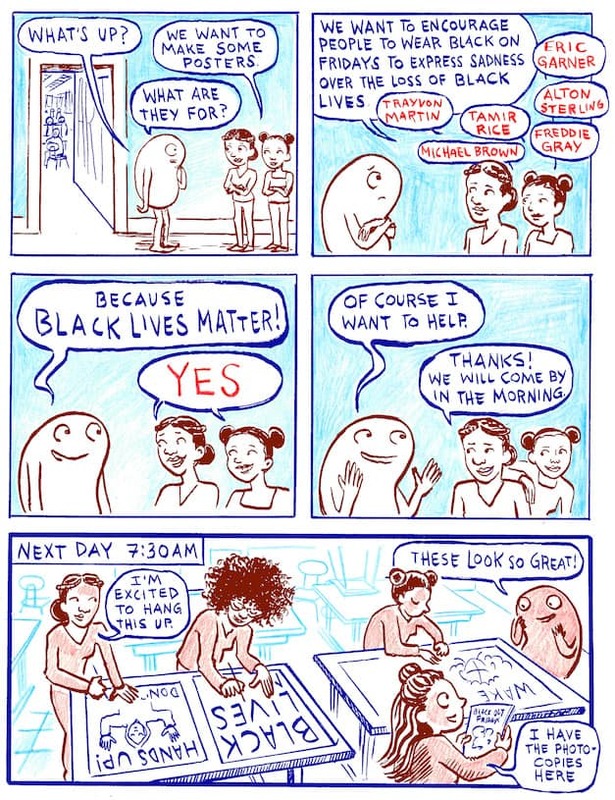 Cara Bean, the author of Draw 500 Funny Faces and Features, is a cartoonist and art educator who lives in the Boston area with her family and dog, Raisin. She studied painting, drawing, and illustration in college (BFA & MFA), and holds a certificate in cartooning from the Sequential Artists Workshop in Gainesville, Florida. 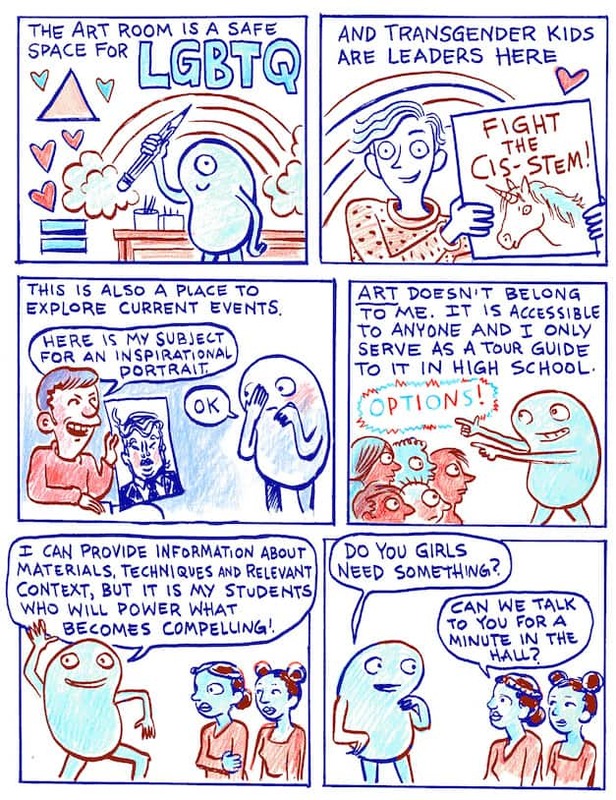 Learn more about Cara Bean at carabeancomics.com.